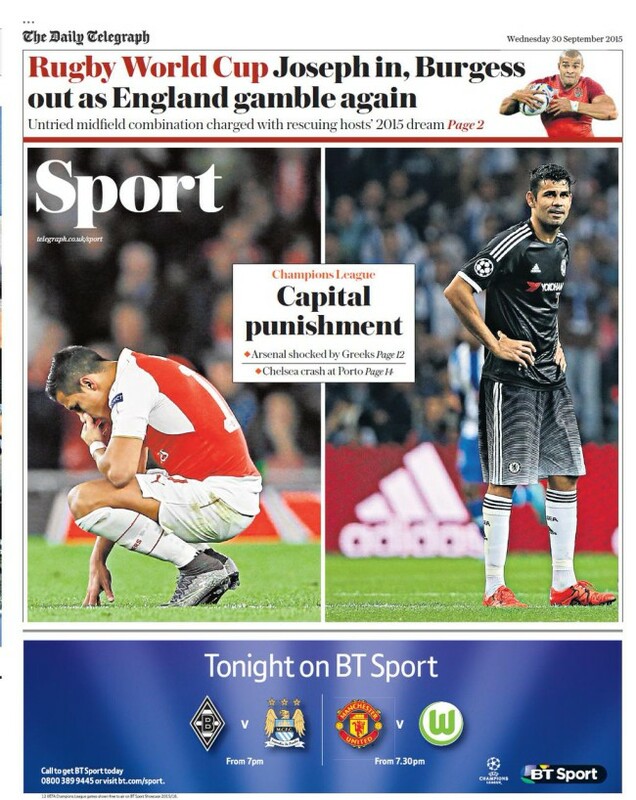 The newspapers lead with Arsenal and Chelsea’s woes in the Champions’ League. 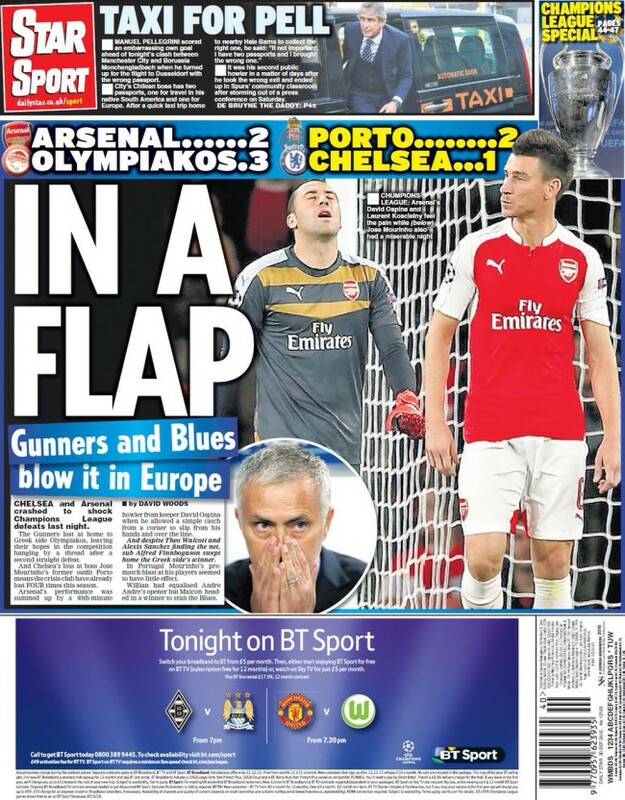 A slapdash Arsenal were beaten 2-3 by Olympiakos. 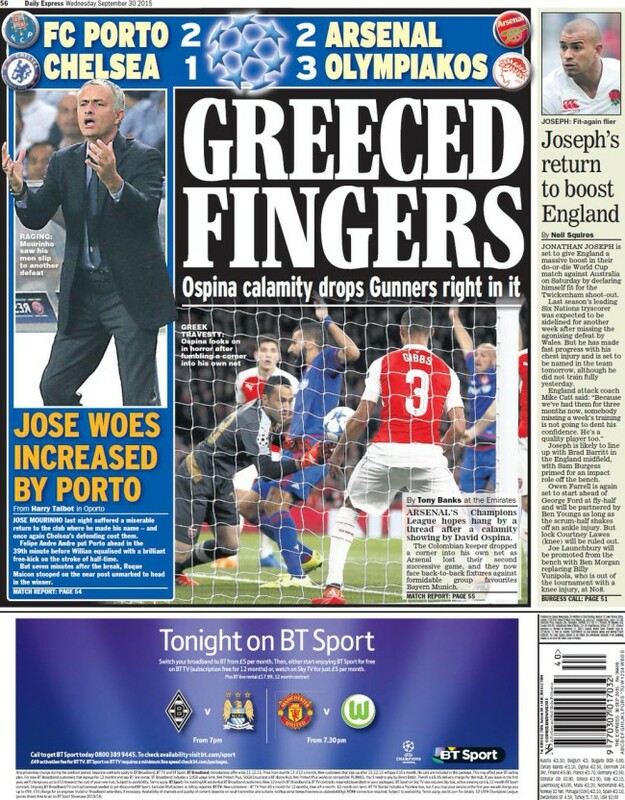 Chelsea’ lost 1-2 in Porto. 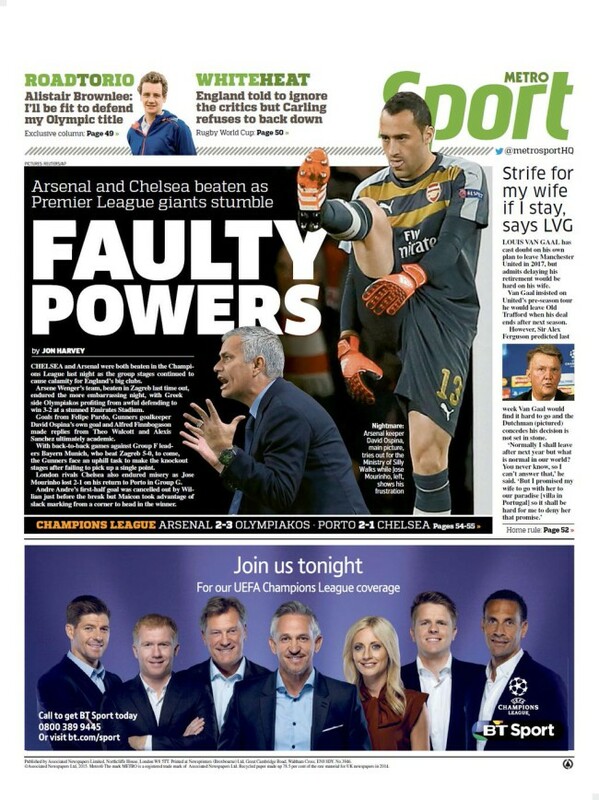 Verdict: The Daily Mirror wins the pun wars. 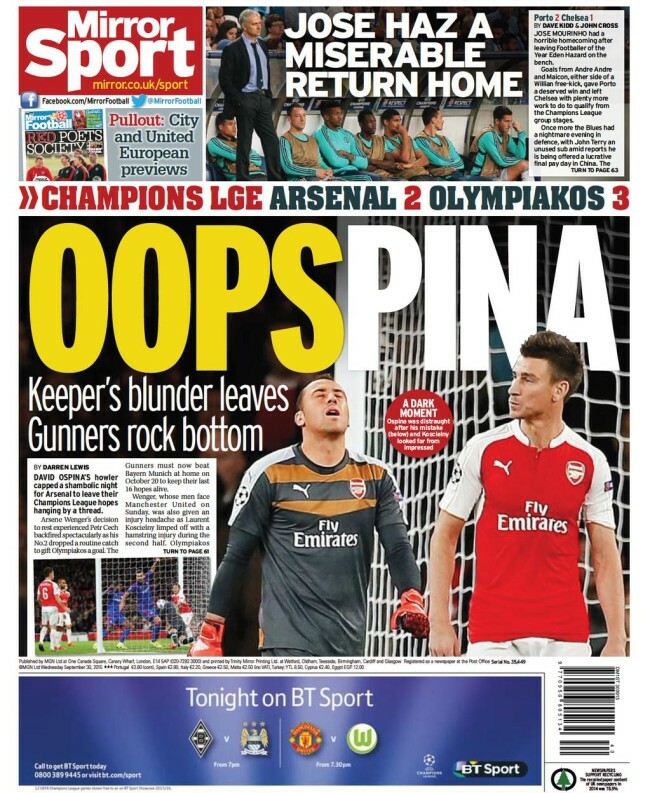 ‘Oopspina’ nails Arsenal goalkeeeper David Ospina for his own goal.